is to cultivate a true moving picture literacy so that we can take back our power as consumers, and to become thoughtful and socially responsible producers. Our method is to integrate theory with practice, combining film scholarship with creative work in film production, as we analyze the moving image in classical Hollywood cinema, documentary, independent and experimental film, television, and other national cinemas. With this work, we become able both to withstand the seduction of images and to wield their power. We are committed to the work of social justice in an increasingly media-focused world. Film is more than an art and entertainment form – it shapes our ideology and values. All of our courses – theory and production – explore issues of gender, race, class, nationality, ability, and other forms of self- or social-identity. We are also affiliated with the department of Gender and Women’s Studies, Africana Studies, and the Center for the Critical Study of Race and Ethnicity. The struggle for social justice is at the heart of what we do. 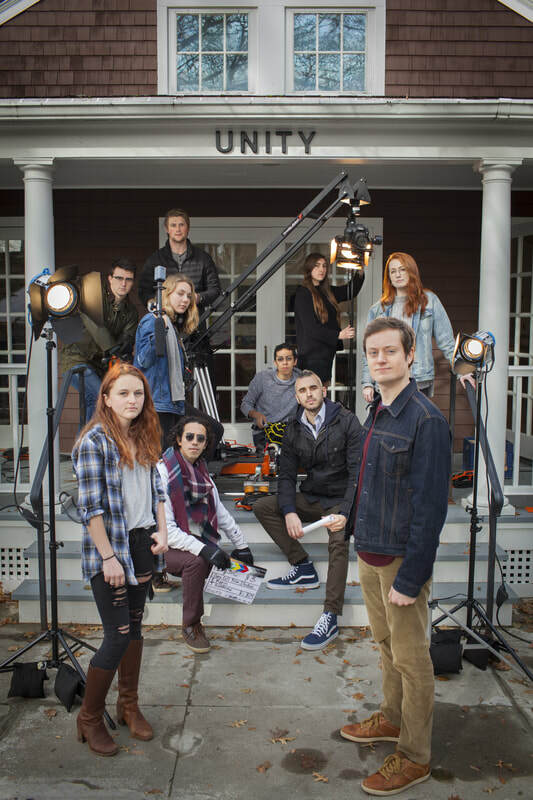 Late nights in the editing lab, passionate classroom discussions, weekend film shoots, screenings that make you laugh, scream or cry together – you'll bond with your classmates and form an immediate and deep community. Make friends, sparring partners, colleagues, collaborators, teammates, family. Check out what we've been up to lately here. We know your name. We get to know your passions, hobbies, and ideas. We are not only your teachers but also your advisors, and help you chose your whole course of study. Our small class sizes and office hours provide opportunities every day to get to know us better. Students work with with us on symposia, colloquia, and films. We throw parties, gatherings, and events where we get to know each other personally and develop deep mentoring relationships that extend well beyond graduation. More about us here.